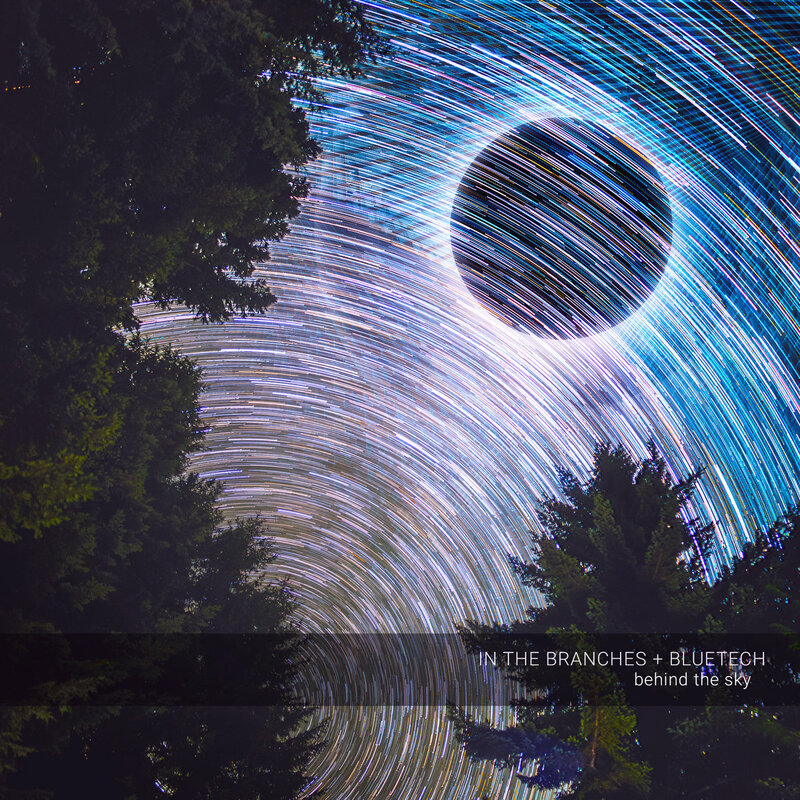 “Behind The Sky” is the debut collaboration between In The Branches and Bluetech. In The Branches is a prolific ambient music project from guitarist/producer Shane Cotee (The Adaptive, Infinite Brothers). Shane’s textural guitar layers intertwine with the intricate modular synth explorations of renowned electronic music producer Bluetech for a potent new sound. “Behind The Sky” features cinematic and emotional soundscapes, pulsing analog oscillations, and deep-space meditations with intricate attention to detail. Melodic, dreamy, and high-fidelity ambient music made for contemplating what lies Behind The Sky.